Aerosmith – But Is It Any Good? WHAT’S IT ALL ABOUT: Dream On, with Mama Kin and six others? 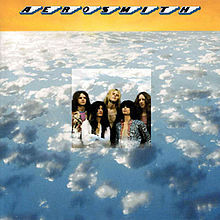 SOME WORDS, PHRASES AND CLAUSES ABOUT THIS RECORD: All of the elements of classic Aerosmith are here – and you cannot deny that Dream On is an all-timer. Mama Kin is also one for the books. Yet, the rest of it seems a bit not ready for prime time. An example is One Way Street, which meanders getting to the good part. In later years, they would have cut right to the chase. The band has said that they were nervous and uptight making the album, and many times they sound like it. They don’t bust loose with the swagger and balls that they would be endowed with in time. The songs, almost all written by Tyler himself, also don’t have the daring or the verve they would later and focused somewhat more on piano than guitar. Still, though, it’s silly to compare this with later Aerosmith. This is a decent-to-good, and in 1973 this straight forward rock-and-roll was only the purview of a few bands at the time. And then there’s Dream On. That moves it to a B. NOTES & MINUTIAE: Dream On was released in 1973 with an edit and only went to #59. In 1976, they released the entire song and hit hit the Top 10. As always, don’t edit the good stuff! GRADE: B: Dream On and Mama Kin are the highlights, and there are flashes of their greatness, but the songs and swagger would come later.